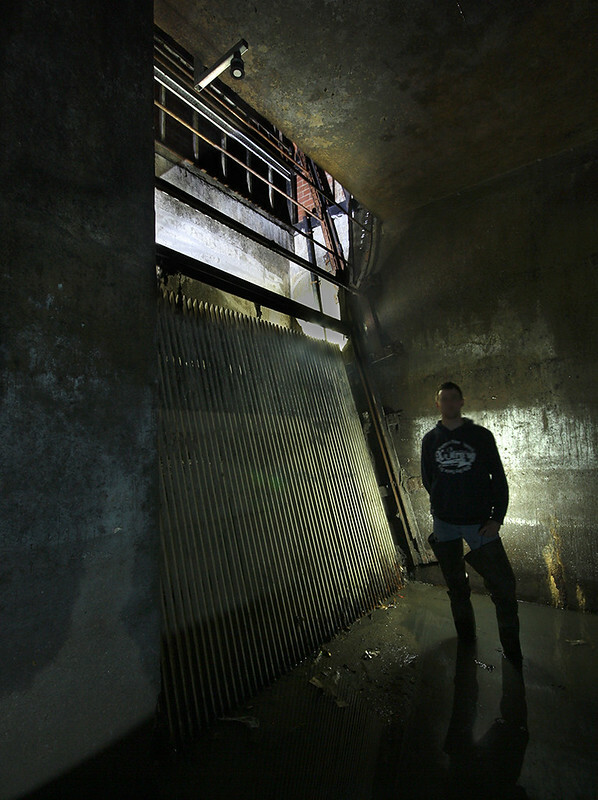 This overflow sits on a large sewer in Warrington, I met up with Gone one evening to have a look. We dropped into a long chamber split in two by an overflow weir. 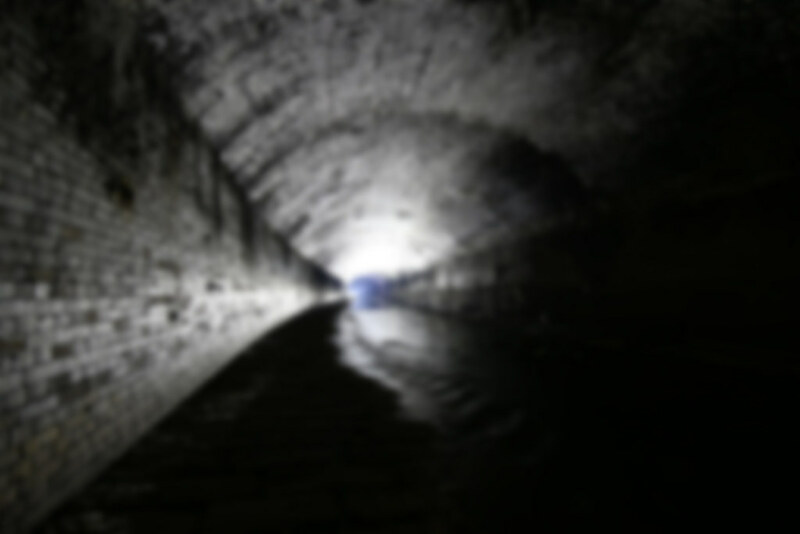 The incoming sewer was a large concrete box around 9ft tall by 4 wide, a narrow ledge grows out from the side forming a deep channel as it travels through the chamber. The flow then takes a sharp right and dips through a penstock and under the other side of the chamber. 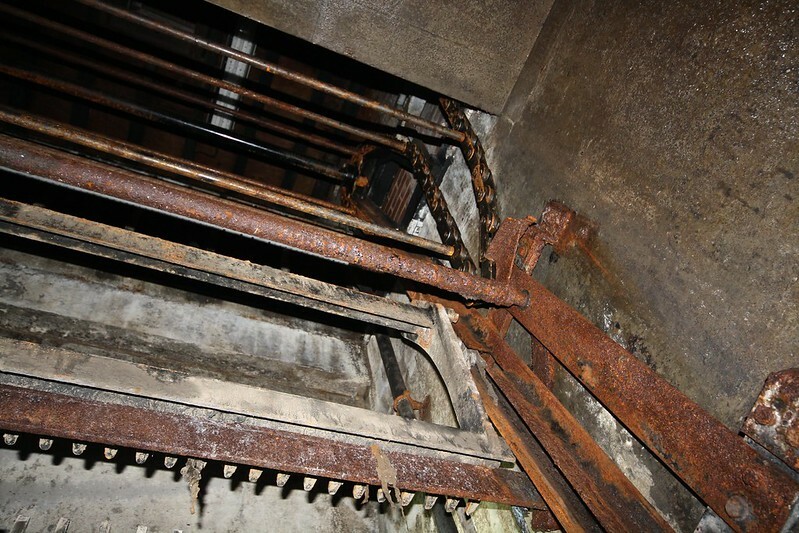 A ladder goes up at this point to a locked hatch for a control room above, a U shaped iron pipe sticks out next to it. 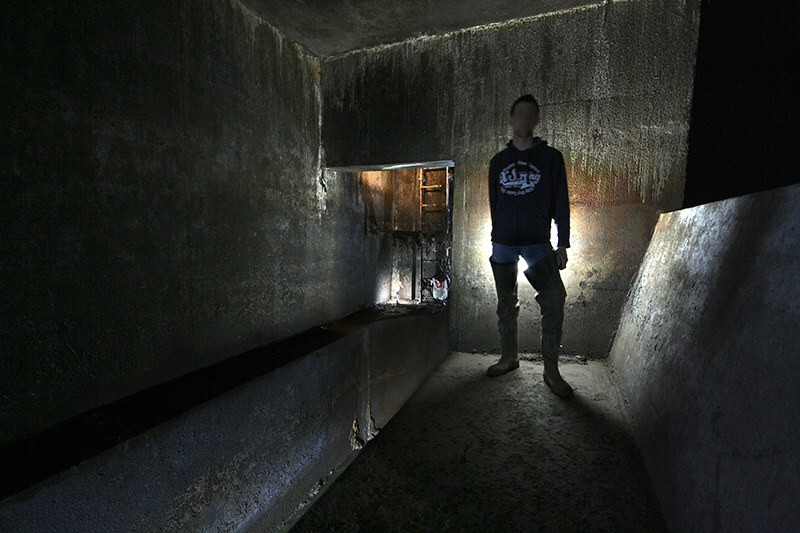 The other side of the chamber takes any overflow from the weir and delivers it to a large static screen. This gave me the opportunity to have fun blowing out one side of the shot with a new torch. I couldn't see too clearly what happens after this, there's probably a penstock that opens to the river when needed, or it's pumped out. The screen will get clogged up with all kinds of crap from the overflowing sewer, so a mechanical system allows it to be removed. A rake bar can be lowered and raised over the screen, scraping any solids into a channel above, this goes back into the sewer via the iron pipe mentioned earlier. It wasn't a big explore but an interesting setup and good to see some sewer related stuff in Warrington, trust that town to deliver more concrete. Big shouts to Gone, great to get out with him again.